reports. The project provides the opportunity to pass packages at other’s expense. “This is a mobile application that people will use on their own by creating profiles for themselves. The application has two modes that are a dispatcher and a courier [delivery guy]. A carrier sets the price for delivery; however, it may start from 2,000 tenge (approximately US$6.30) as per calculations by developers,” according to the news agency. The project’s authors plan to launch a buyer mode in the future, which may allow purchasing items abroad through other people. “Up to 130,000 tenge (about US$408.40) can be earned here as a commission, according to the developers’ calculations,” it added. Karymsakov noted risks are possible during the first stage, including parcel theft, delays and lateness by the host party and prohibited items such as illegal drugs and explosive substances. He recommends keeping a check on packages prior to shipping and beginning with parcels of little significance, like copies or verified translations of documents and winter clothes. He also suggests taking a photo of the person, his or her passport details and boarding pass, if allowed. “We are now designing a safety system. We still have a rating system operating; it is when people leave feedback on a user’s profile, so you can see whether to trust this person or not,” said Karymsakov. “In the near future, we are planning to introduce a new option by taking it from Airbnb service. If you take someone’s package, the money is kept within our company and we give it to you after you pass the parcel to the owner. In the future, if we have a big budget we will open our chain at airports, where we will be registering every package via a bar code. 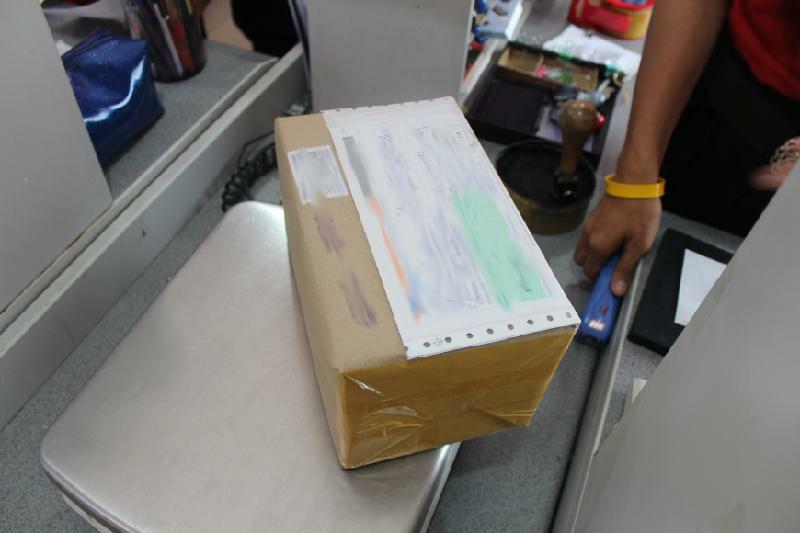 This is a guarantee that a parcel is safe,” he added. Karymsakov spent his own money, approximately $10,000-12,000, to develop the service. At present there are no plans for earning, but earning on commissions is projected in the future via electronic payment, such as 5-10 percent from every app purchase. “Payments go only via an application. Right now, cash is the only method available and a choice between cash and electronic payments will be available in the future. This project is made for people; if stockholders appear in the future, we will monetise the project,” said Karymsakov. Takebs, positioned as the world’s fastest parcel delivery service, has launched in Kazakhstan. The app is available in 11 languages on the IOS platform and by mid-March can be downloaded on Android. Bauyrzhan Karymsakov, who devised the mobile app for the international service, noted it is the first joint consumption project in the logistics field and a new way of parcel transfer, The Astana Times reports. The project provides the opportunity to pass packages at other’s expense.